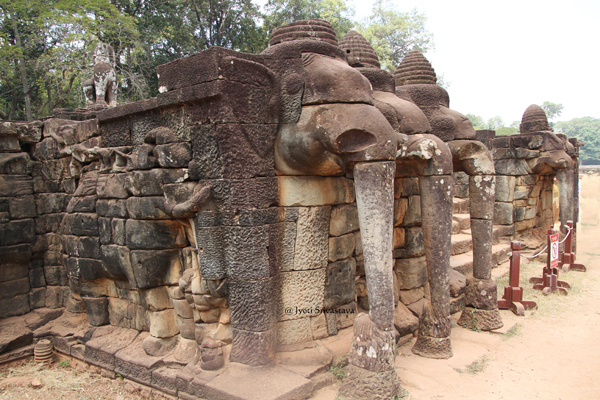 The Elephant Terrace stretches over a length of more than 200 meters, from the Baphoun in the south, to the Terrace of the Leper King in the north. 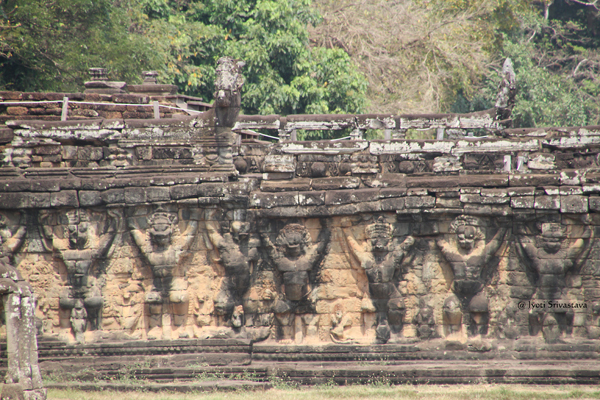 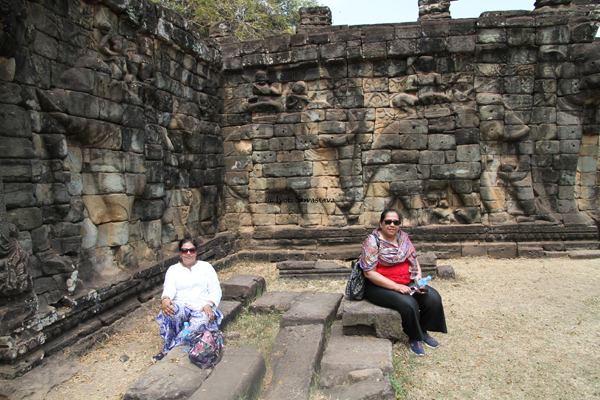 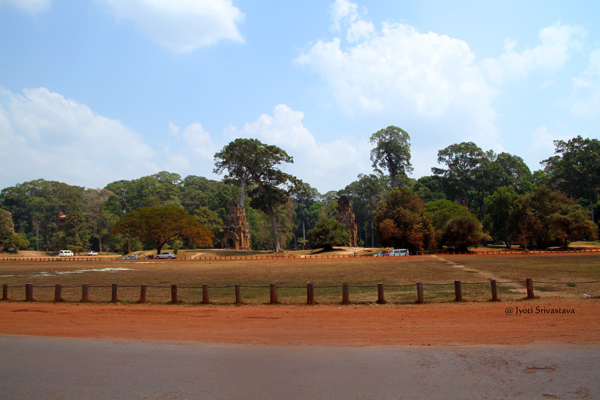 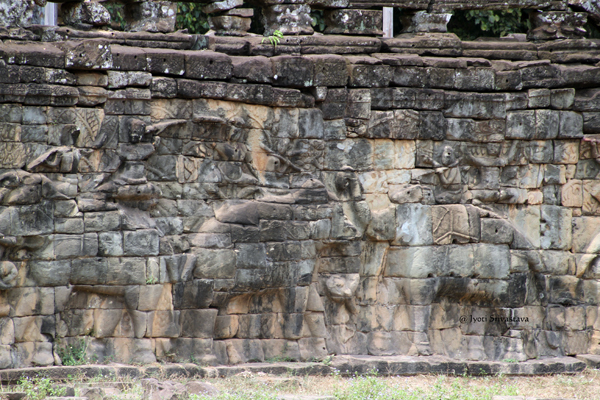 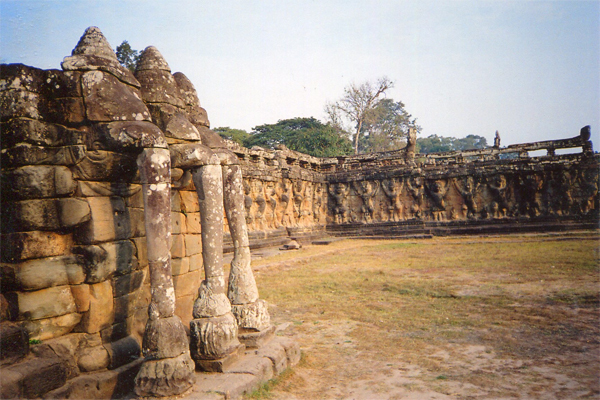 The terrace is named for the sculptures in high relief of elephants and their mahouts. 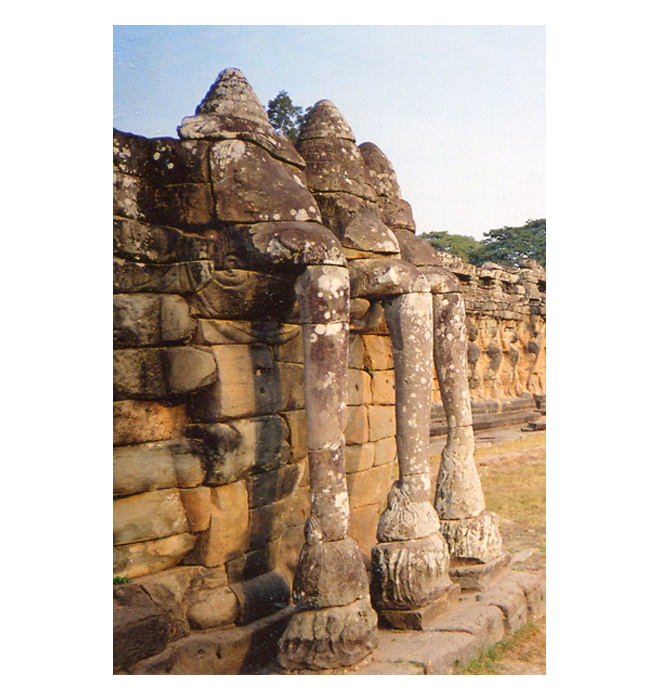 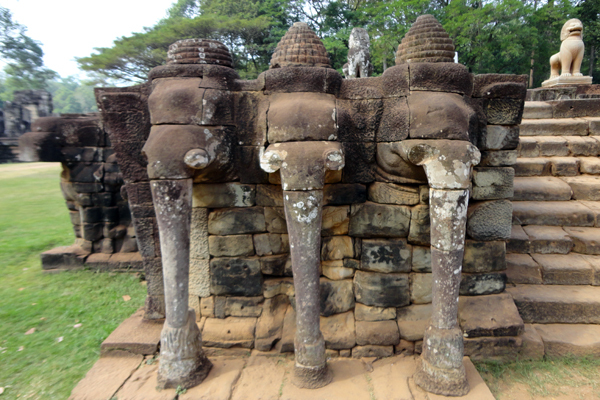 At several sections large elephant heads protude out of the walls, their long tunks forming pillars extending to the grounds. 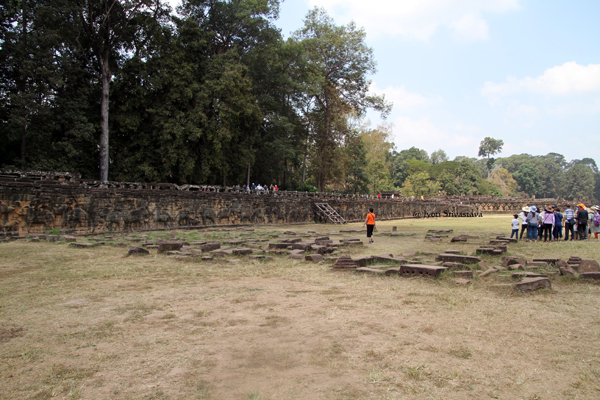 The terrace was used as an audience ahll for public ceremonies.